Place chestnuts in a medium saucepan with about 1 litre of water, so the chestnuts are fully submerged. Bring to the boil, and boil for 1 hour, topping up water if required. Drain and cool in cold water. When cool enough to handle, open and scoop each nut out. Place chestnut in a mortar and pestle or food processor, and grind until smooth. 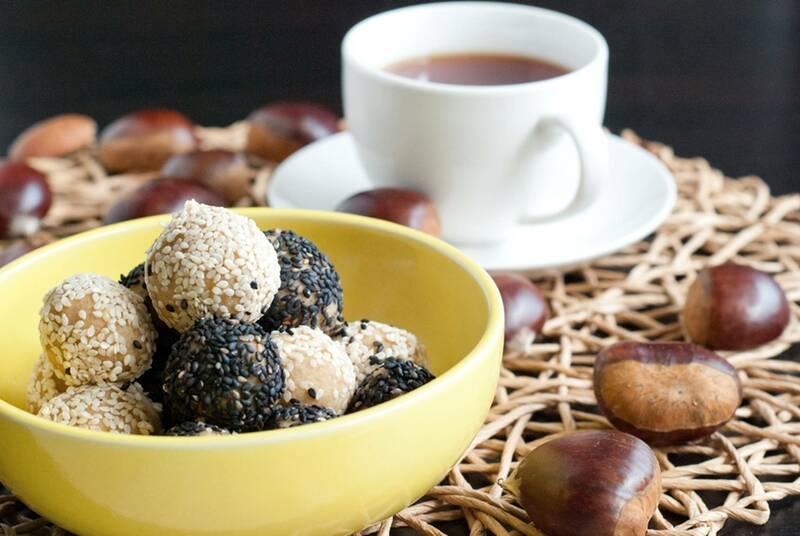 Roll tablespoons of the mixture into balls, and coat in a combination of black and white sesame seeds.